BA (Hons) Fine Art graduate Naomi Kirk-Smith wins the Public Speaks Prize in this year’s Broomhill National Sculpture Prize. The Broomhill National Sculpture Park Prize is an annual prize open to UK-based artists who are studying or within 10 years of graduating. 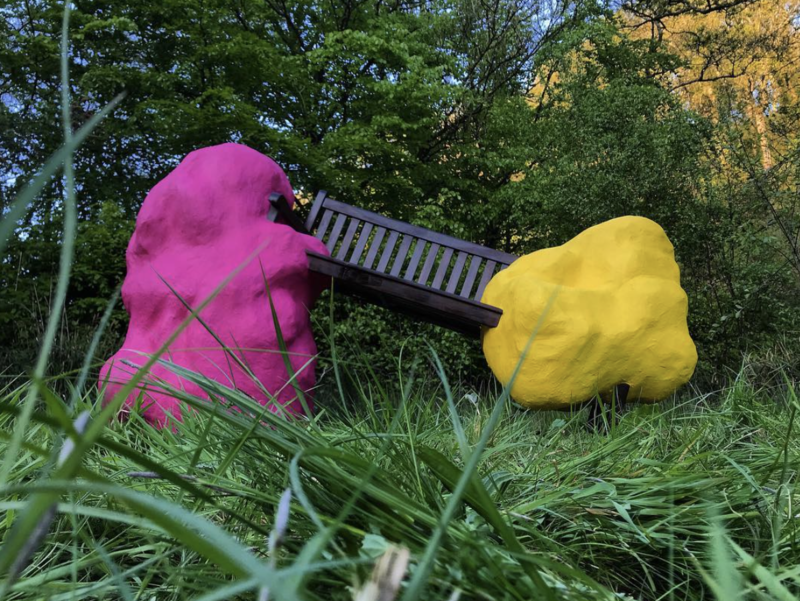 Naomi Kirk-Smith was one of ten shortlisted sculptors selected by a panel of judges to receive £1,000 each to create their proposed sculpture, which was then exhibited at the Broomhill Sculpture Park in their summer exhibition. The public voted Naomi’s playful sculpture ‘Messin’ Abou’ as their favourite, scooping her the Public Speaks Prize. Naomi graduated from BA Fine Art in July 2018. Find out more about BA (Hons) Fine Art.